For dinner we went to "Les Brasseurs", a craft beer restaurant. I found it on the web with good reviews for its beer. It was a popular place and very busy. This was probably helped because its location, right next to the train station. They had both indoor and outdoor seating with wide variety of bar food. The patio was packed so we ended up eating inside. It was good, however I wish we had been more adventurous and found a smaller more personal brewery. 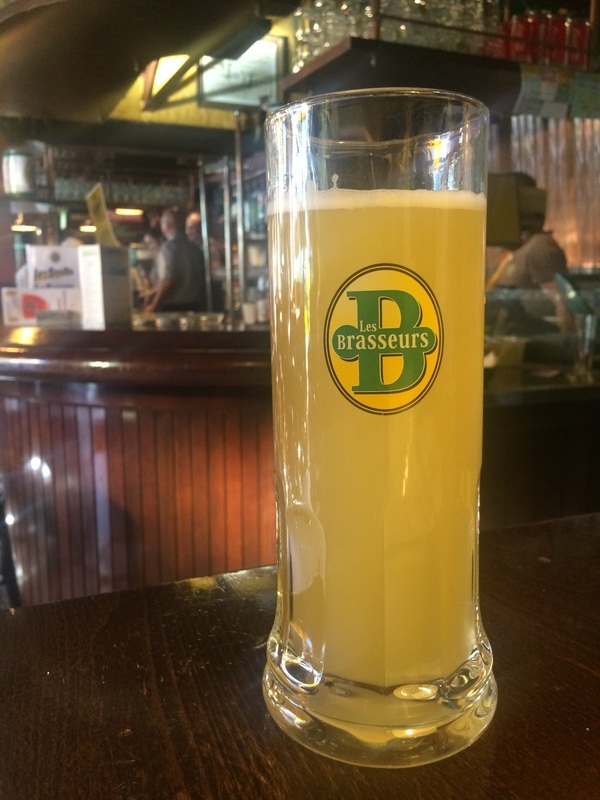 Blanche (White Bier) be Les Brasseur: enjoyable light wheat, the cloudy yellow color implied a light lemon fruitiness. 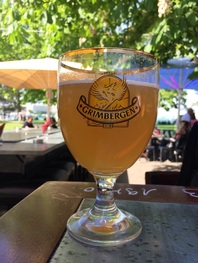 We also had a few beers at La Potinière Restaurant, a bar/restaurant in the park alongside Lake Geneva.